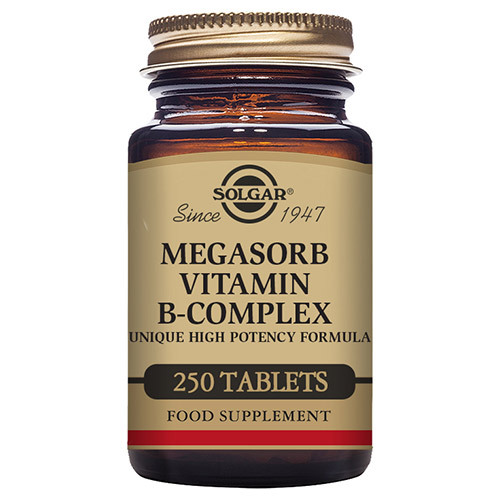 Solgar® Megasorb Vitamin B-Complex is a high potency balanced vitamin B complex formulated for improved absorption and delivers key B vitamins. 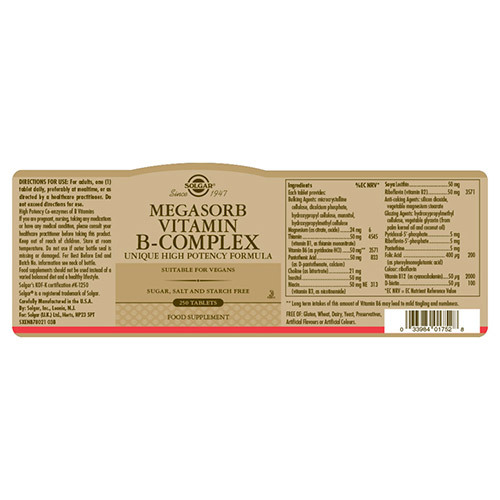 The Megasorb Vitamin B-Complex includes thiamine (B1), riboflavin (B2), niacin (B3), pantothenic acid (B5), and vitamin B6, along with other B vitamins such as folic acid, biotin (B7) and vitamin B12. 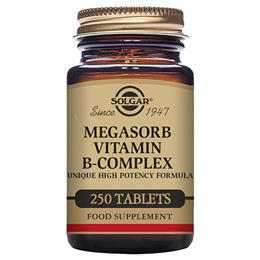 Many B vitamins are interdependent, so it is best to take them in combination, for example in a B-complex or a multivitamin containing a B-complex. B vitamins are essential nutrients required by the body. They help our bodies convert food into energy, allowing us to stay energised throughout the day, as well as supporting our mental performance. B vitamins are water soluble nutrients that are necessary to maintain energy and general vitality, but they are also used by a number of other important functions within the body including the immune system, nervous system and psychological functions. Although not dependent on dietary fat for absorption, as one of the main properties of B vitamins is to convert food into energy, it is recommended to take them with a meal. 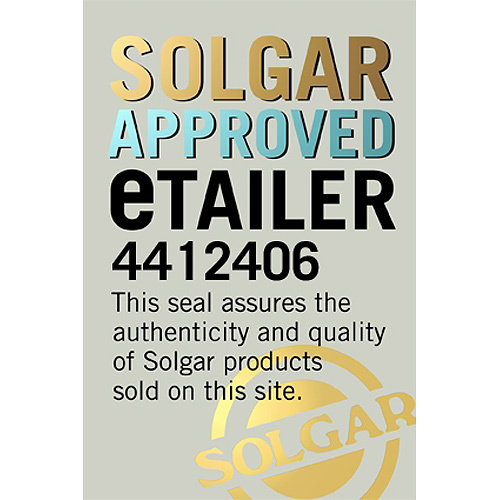 Also contains: Bulking Agents: microcrystalline cellulose, dicalcium phosphate, Anti-caking Agents: silicon dioxide, vegetable magnesium stearate, Glazing Agents: hypromellose cellulose, vegetable glycerin (from palm kernel oil and coconut oil), Colour: riboflavin. As a food supplement for adults take one vegan tablet daily, preferably at mealtime, or as directed by a healthcare practitioner. Long term intakes of this amount of Vitamin B6 may lead to mild tingling and numbness. 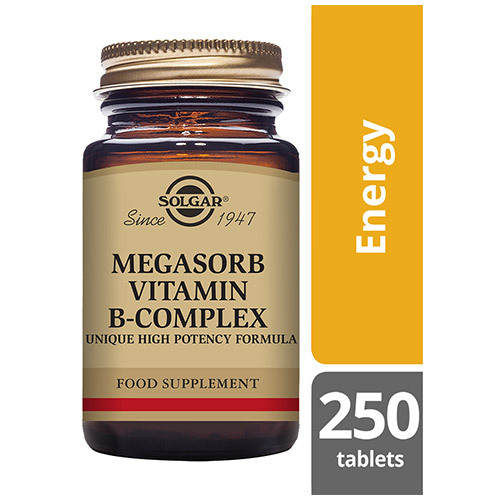 Below are reviews of Solgar Megasorb Vitamin B-Complex - 250 Vegan Tablets by bodykind customers. If you have tried this product we'd love to hear what you think so please leave a review.